$59,000 USD Price Just REDUCED! "Near the beach with Permits from Setena"
A very nice wooded lot located near the beach in a lovely gated beachside community. Just a 5 min walk from the beach and the surf in beautiful Playa Grande. Just around the corner from several nice restaurants, hotels, and a small grocery store. The lot already has permits to build approved from SETENA. A huge step towards gaining full permission to build, the permit is worth thousands of dollars and many months in processes necessary to get permits near the National Park. The plans are for a 3,000 sq ft 3 bedroom home with a pool. Granted in December 2014. A great investment to build a private home for private use or vacation rental return on investment. This neighborhood is a fantastic market for vacation rentals because of the kid friendly beach and family oriented vacation attractions. 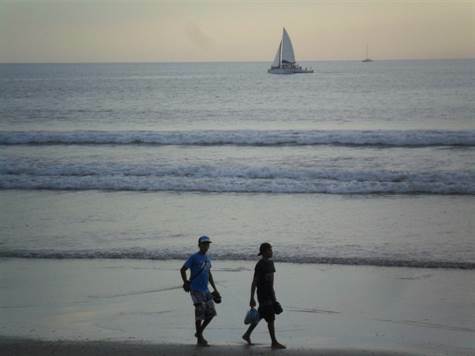 Playa Grande is rated one of the top beaches in Costa Rica, and is great for nature lovers, and surfers of all levels. Just 1 hour from the international airport in Liberia. Call your agent today for more information.